In Jammu Kashmir, Section 370 was filled up. 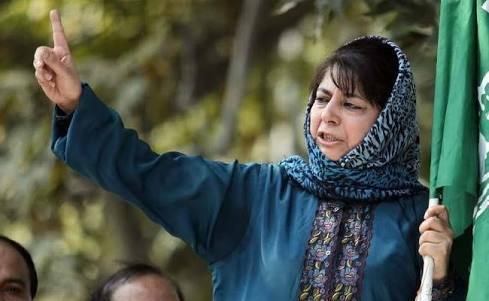 This time, the current Chief Minister of Jammu and Kashmir, Mr. Mehbooba Mufti, said that there was any change in the privileges of the people of Jammu and Kashmir. So there will be no one to stop the tricolor in Jammu and Kashmir. Nor will he have any protector. Actually tell you. That there is debate in the Supreme Court on Article 370 of Article 35 (A) i.e. constitution of giving special status to Jammu and Kashmir. Let me also tell you. That this article defines the permanent resident of the State Assembly. And gives them the power to give them special rights. There is a strong debate even in the Supreme Court on Article 370. 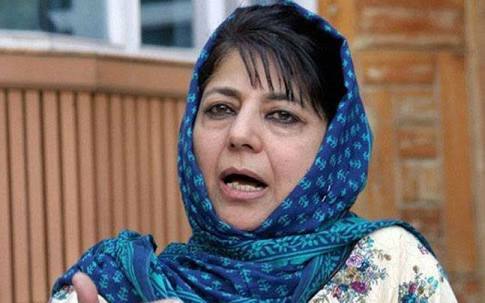 In our current time, Chief Minister of Jammu and Kashmir Mehbooba Mufti said that if Article 35 A was tampered with section 370 So I will not have any doubt in saying this. That if any changes were made in it. So there will be no one to stop the tricolor in Jammu and Kashmir. Then none of the Tricolor will be able to protect here. 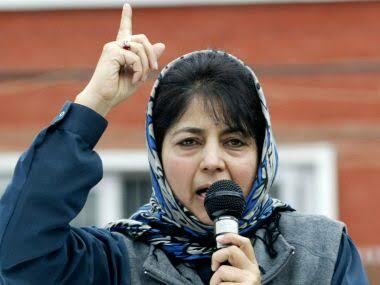 After this, Chief Minister of Jammu and Kashmir Mehbooba Mufti said, “I want to say clearly. That if you are not targeting separatists by tampering with Section 370 of Article 35 A. Rather, you are trying to weaken those powers by doing so. Which is Indian. And who believe in Indianism On the other hand, Mufti said after that, those who fight for living with respect to J & K honor. After that, Jammu and Kashmir Chief Minister Mahbuba Mufti said that separatists’ agenda is different. He is not connected to this. That’s what you tell me. That the debate on Article 370 in the Supreme Court went through an NGO in the year 2014. The petition is on. The NGO had filed a petition seeking the repeal of Article 351. That is the case pending since then in the Supreme Court. The same Jammu and Kashmir Chief Minister Mahbuba Mufti said that Kashmir is a hypothesis of India. The same Jammu and Kashmir Chief Minister Mahbuba remembered. Despite being a Muslim-dominated state during the partition. On the basis of the principles and religion of the two nations in Kashmir also violated the division of this division. And he was with India. Let me tell you this also. That for the current time to end Article 370. Filed by an NGO. There is a debate in the Supreme Court on the petition. This case is pending since 2014. ​Seeing these pictures of the film bandookbaaz Laila Bidita Bagh, you will also be enamored of them.